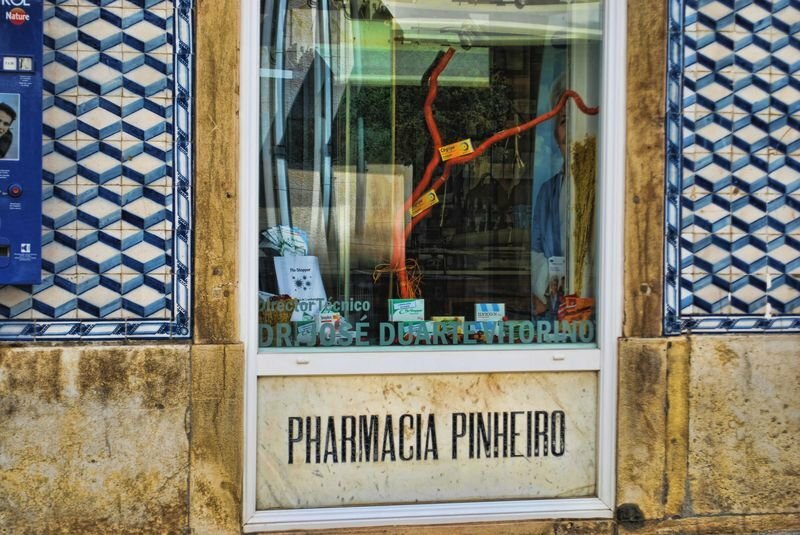 In continuation to this topic which deals with Portuguese artistic ceramic tiles, or “azulejos” as the Portuguese call them, I found these set of photo of a pharmacy in Tomar quite interesting. 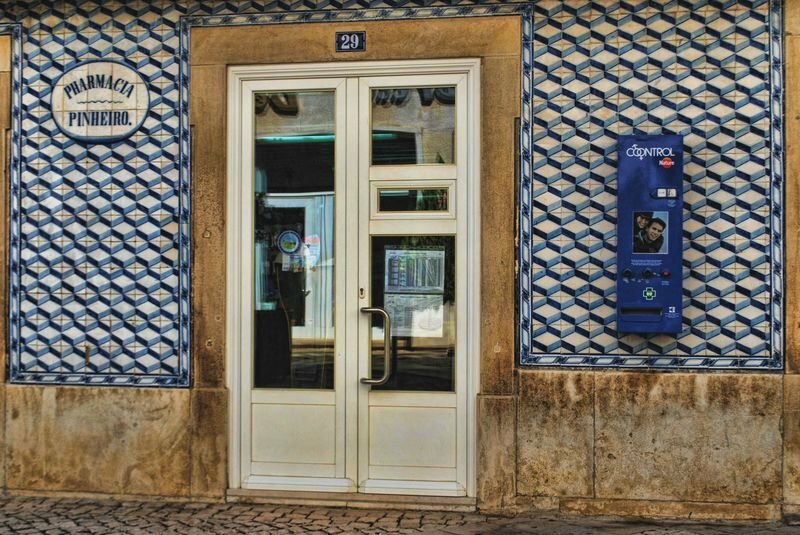 This is Torres Pinheiro Pharmacy, at Rua Serpa Pinto in Tomar, and it used to belong to the parents of a friend of mine called Miguel Lopes. They no longer own this pharmacy but it’s still very much active. 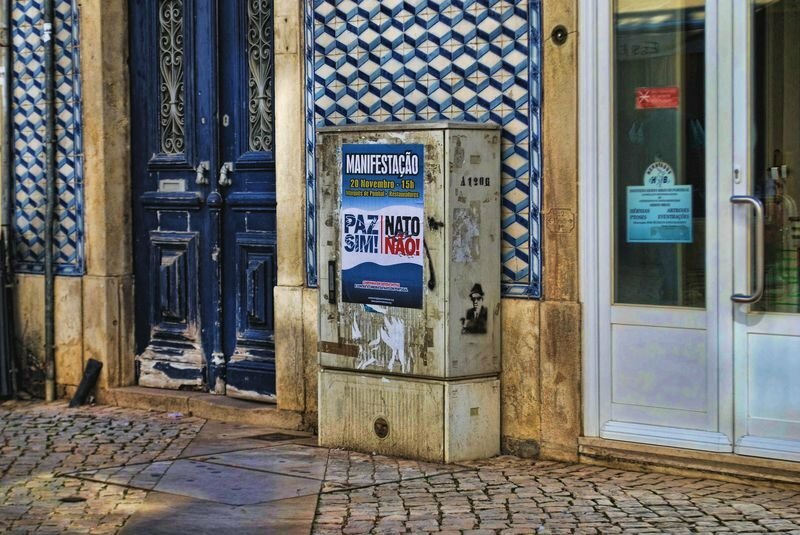 Anyway the topic is tiles and the walls outside the pharmacy are covered with them.